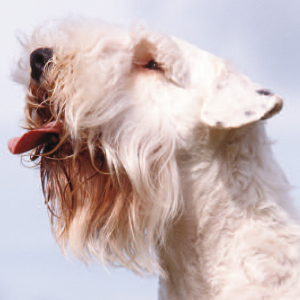 Alert, intelligent, and independent dogs, but may be less energetic than other terriers. 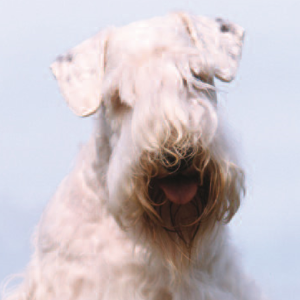 Sealyham Terriers enjoy dog sports such as agility, earthdog trials, tracking, flyball, and obedience. 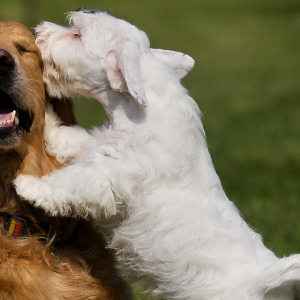 Stubborn or strong willed tendencies may be reduced by using motivational tools such as treats and favorite toys in reward-based training. May be reserved around strangers and often don’t get along well with other dogs. May bark, dig, and chase wildlife. If it wasn’t for one Captain John Edwards we wouldn’t have these fearless and friendly dogs. Back on his estate in Wales in the mid-19th century, the good captain dreamt up his ideal hunting companion. His perfect dog had to be one that would do well at hunting small game, like badgers, otters and foxes. And not only that – It had be the right size to hunt above and below ground too. 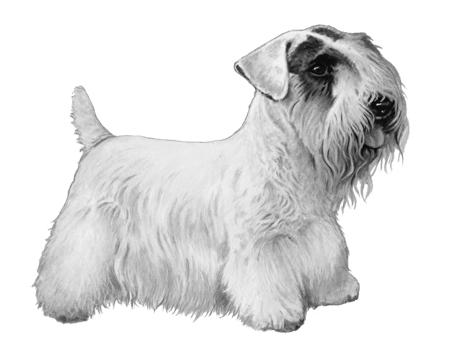 To achieve his goal, Edwards mated Basset Hounds, Bull Terriers, Fox Terriers, the West Highland White Terrier and the Dandie Dinmont Terrier. 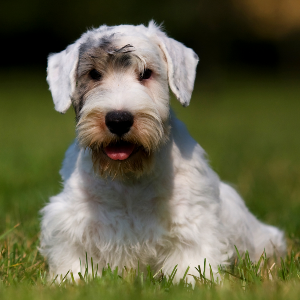 The story goes that the Sealyham Terrier took years to develop (between 1850 and 1891, to be exact). If you’d ever owned one of these loving and attentive dogs, you’ll know it was well worth the wait.